When you remove a Gmail account from an Android device the right way, the process is relatively easy and painless. The account will still exist, you will be able to access it via a web browser, and you can even reconnect it later if you change your mind. Removing a Gmail account from a particular phone - This totally removes the Gmail account from your phone. You will be unable to access Google Play, Google Music, YouTube, and other services on your phone with this account. You can add the account back any time you want. Turning off sync so you aren't seeing the emails that come in - This leaves the Gmail account on your phone, so you can still use it for YouTube, Google Play, and other apps. Gmail will no longer bother you with notifications, because it won't download email for this account anymore. You can turn syncing back on at any point. Delete the account from Google - This is irreversible, so only do it if you really don't want your Gmail account anymore. Remember that your Gmail account is probably tied in to other things, like YouTube, which will also be deleted. We're focusing on the first item, although we'll show you how to turn off sync as well just in case that sounds more useful. Before you proceed, there are a few factors to consider. Most importantly, you will lose access to apps and content that you purchased from the Google Play Store if you remove the Gmail account that is tied to the store. You will also lose access to emails, photos, calendars, and any other data tied to that Gmail account. While it is possible to add a Gmail account back later on, you may want to consider turning off the sync option instead. If this sounds like what you want to do, scroll past the following instructions for removing a Gmail account to the section where we discuss syncing. The directions below should apply no matter who made your Android phone: Samsung, Google, Huawei, Xiaomi, etc. The names of menus and options will differ slightly if you are using an older version of Android. For more in depth instructions, including potential pitfalls and options that may solve your problem without actually removing your Gmail account, read the following sections. The first step in removing a Gmail account from your Android is to access the Accounts menu on your phone. Depending on the version of Android that your device has has installed, you may have an Accounts, Accounts & Sync or Cloud and Accounts menu instead. Each version of Android switches things up a little, but you're looking for an option that includes the word Accounts. To access the Accounts menu, open the main app menu, tap the Settings icon, and then selecting the Accounts, Accounts & Sync, or the Cloud and Accounts menu. Do not tap Google during this step. You absolutely must select the option that looks like Users & Accounts, Accounts, Accounts & Sync, or Cloud and Accounts so you don't end up deleting your Gmail account instead of just removing it from the phone. With the Accounts menu open, your Android will present you with a list of accounts, and their associated apps, that you have on your phone. Tap on the Gmail account that you want to remove from your phone to move on to the next step. Depending on the version of Android you have installed, you may be presented with a list of apps instead of a list of accounts. If this is the case, simply tap Google to see the Google accounts that are tied to your phone. If you have more than one Gmail account, you'll need to select the one that you want to remove from the sync list. When you tap on the Gmail account that you want to remove from your phone, it will open up the Sync menu for that account. If you only have one Gmail account, you may need to tap the Sync option to reach the menu to turn off Sync for Gmail. The next screen allows you to access the Sync menu for your Google account, or remove the account. If you want to remove the account from your phone, tap REMOVE ACCOUNT. When prompted, tap REMOVE ACCOUNT again to finalize the process. 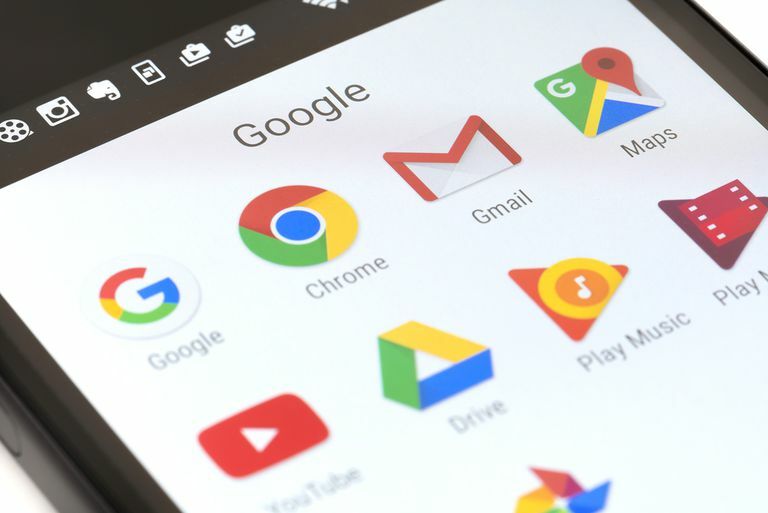 When the process is done, your phone will return to the previous menu, and the Gmail address you removed will be absent from the list of Google accounts that are connected to your device. At this point, you may not see the REMOVE ACCOUNT option. If you don't, look for the overflow menu, which looks like three vertically stacked dots. Tap this icon, and you should see the option to remove your account. Should You Turn Syncing Off, or Totally Remove a Gmail Account? On the same screen where you choose to remove a Google account from your device, you can also access the Sync menu. This menu provides you with a lot of options related to your Gmail account. On a Samsung device, you can find this under Settings > Accounts > Accounts > Your Gmail Account > Sync Account. Some Samsung phones may call the first "Accounts" Cloud and Accounts. On a Google Pixel, you'll find this under Settings > Accounts > Your Gmail Account > Account Sync. If you would like to leave your Gmail connected to the phone, but stop getting emails and notifications, you can accomplish this by simply turning off individual sync settings. On some Android devices it isn't possible to remove a Gmail account. You can, however, disable that account by going to Apps > Gmail > Disable. Can You Remove Gmail From An Android Phone? The Gmail app comes with Android, and you can't remove it under normal circumstances. You can technically remove it if you root your phone, but that may have unintended consequences, and you won't free up any usable storage space anyway. If you use a different app for email, you can turn off syncing for Gmail or turn off Gmail notifications. Navigate to Settings > Users & accounts. If you have an older version of Android and don't see this option, look for Cloud and accounts. Others may see a section called Accounts. Tap the Gmail account you want to manage. You may need to tap Gmail first. In the menu that appears, scroll to find Gmail. Tap the toggle to turn Gmail syncing off. In older versions of Android, this option will be different. Look for where it says Sync Gmail. If you have multiple Gmail accounts, tap the one you want to manage. Tap Notifications, then None to turn them off. While these instructions work for the vast majority of Android phones, you may run into a handful of different problems. The most common is that when you get to step four, you may need to tap the overflow menu button to access the option to remove your account. On some phones, you may not see the overflow menu button on your screen. If you don’t see the overflow menu, which looks like three vertically stacked dots, you may still be able to access it. Look at your Android for a physical or virtual button that looks like three vertically stacked lines. If you have a button like that, press it when you get to step three. That should open up the overflow menu, which will allow you to remove your Gmail account. In some cases, you may also have trouble removing the primary Gmail account from your phone. This is the account that was used when the phone was first set up, and it is tied into many apps, like the Google Play Store.